Coating Solutions specializes in the application of DuPont Teflon® and fluoropolymer industrial coatings. Since 1995, we have been providing fast turnaround, with one day rush available, and the lowest minimum lot charge in the industry. At Coating Solutions we apply many types of DuPont Teflon® and other coatings, including some fluoropolymer coatings produced by Whitford. Our commitment to exceptional quality is backed by first-rate customer service. As a family-owned business, we can be more flexible and responsive to your needs. From initial inquiry to application to on-time delivery, Coating Solutions is your one-stop headquarters for industrial coatings. 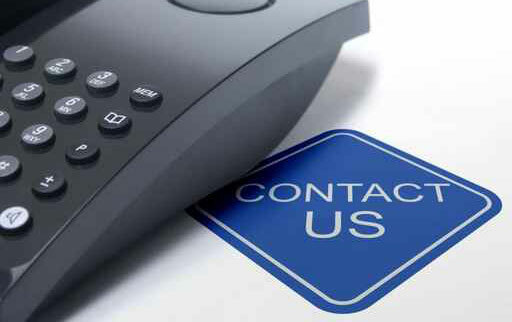 To contact us about items you need coated with DuPont Teflon® or another fluoropolymer call (888) 390-8033. Let’s be honest. Most fluoropolymer coating companies are the same. We all produce good work, otherwise we would have been out of business a long, long time ago. So why choose us? Because when you need something done fast, we are the best choice. Our turnaround is typically 3-5 days so that you can get back to production in a hurry. We even have one-day rush available. And we have the lowest minimum lot charge in the industry, so you know that we won’t stick you up and empty your wallet when you just need a part or two coated so you can get back to work. Of course our quality is good. We live in an exacting world, and people don’t put up with shoddy work – we certainly don’t. So when you want something done fast, well, and for a fair price, Coating Solutions is your number one choice. Fluoropolymer coatings have many unique properties that make them useful for an array of industries. Below are some of the well-known properties of these coatings and how they can be used effectively. Nonstick properties are primarily what Teflon® and other fluoropolymer coatings are known for thanks in large part to their application to consumer cooking pans. But the low release characteristic of fluoropolymer coatings has many more uses than just making sure an over-easy egg doesn’t stick to a pan. Of course it is beneficial for commercial food processing such as coating hoppers and rollers and mixers, but it is also beneficial for a number of other industries. Coating cutting blades used in packaging machinery prevents thin films of plastic and foil from sticking to the blades as the material goes through the assembly line. And in the aerospace industry, nonstick is very useful in engine molds. In addition, the paper industry benefits from the nonstick properties of fluoropolymers when they are applied to process rolls. These are just some of the industries that benefit from the nonstick of Teflon®. Teflon® and other fluoropolymer coatings have excellent nonwetting properties; they are oleophobic and hydrophobic. Low surface energy that is unique to these coating makes water bead instead of spreading freely across the area of the coating, which means easier cleanup. Some industries that benefit from this characteristic include the military and aerospace. The temperature resistance of fluoropolymers make them useful for a wide range of industries. They are useful food processing and commercial baking, obviously, as well as in lighting and packaging. They can be found in offices, such as in large copiers. The low coefficient of friction that comes with fluoropolymer coatings allows for many industries to use them as a dry lubricant. Anything with metal on metal rubbing parts can benefit from a fluoropolymer coating in order to reduce the friction created by the parts. Some industries that benefit from the low friction of fluoropolymers include automotive, housewares. And hardware. Fluoropolymers are resistant to most know chemicals, which makes them very useful for a number of industries. The chemical processing industry is first and foremost among them, as the parts this industry works with need to be resistant to the variety of chemicals they produce. This characteristic is also beneficial for the pharmaceutical and semiconductor industries, as well as for use on fasteners such as nuts and bolts. Teflon® and other fluoropolymers have many unique electrical properties. These properties include high dielectric strength, and low dielectric constant and loss. This makes these coatings useful for wiring, including in the aerospace and computer industries. And they are good insulators for cables. PTFE, when applied to parts, will vastly decrease friction created by parts rubbing against each other. This decrease in friction will benefit the parts in the manner of a longer life span and an uptick in performance. It also makes the parts easier to clean. This saves expenses related to cleaning, parts servicing, and replacement. Textiles, hardware, and lawn/garden industries all can benefit from parts coated with fluoropolymers due to excellent resistance to abrasions.